Egyptian Court Sentences More Than 500 Morsi Supporters To Die : The Two-Way The court found 529 Muslim Brotherhood supporters guilty of killing one police officer in a riot last year. It is being described as the country's largest-ever mass sentencing. Egyptian supporters of the Muslim Brotherhood are seen during their trial in the killing of a police officer last year. An Egyptian court has sentenced to death hundreds of supporters of ousted President Mohammed Morsi after a mass trial on charges related to an attack that killed a policeman. The verdicts and sentencing came of the 529 people came after just two sessions of the court, sparking criticism from human rights activists. Egypt's state-run newspaper Al Ahram said the defendants were convicted of killing a single police officer, and of attempted murder of two others. They were also found guilty of rioting that destroyed the police station that those officers worked in. The paper said 16 other defendants were acquitted. The BBC reports that the group is among some 1,200 Muslim Brotherhood supporters on trial, including senior members. "The speed of the case, and the severity of the outcome, are unprecedented in Egypt, according to legal sources. "In a case centred on the killing of a single police officer, more than 520 defendants have been sentenced to death, at a breathtaking pace. "The first hearing — on Saturday — was quickly adjourned. At Monday's second session, the mass death sentences were announced. 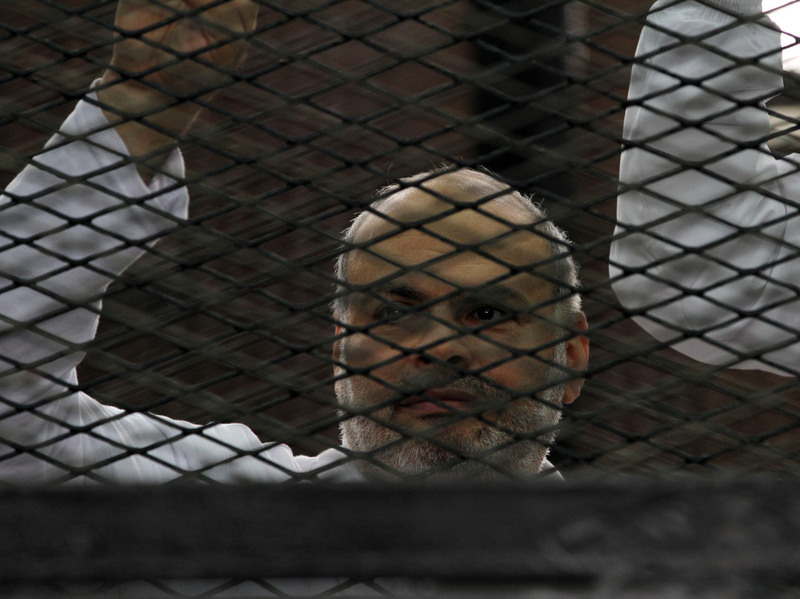 "A spokesman for the banned Muslim Brotherhood said the verdict came from a 'Kangaroo court.' One human rights campaigner said judges had become a tool for taking revenge." The New York Times quotes legal experts who are calling the case "the largest mass trial or conviction in the history of modern Egypt. It also was a surprising acceleration of the nine-month-old crackdown on Mr. Morsi's Islamist supporters and liberal dissenters that has followed his removal last July." "The verdicts are subject to appeal and would likely be overturned, rights lawyers said. But they said the swiftness and harshness of the rulings on such a large scale deepened concerns that Egypt's courts have been politicized and that due process is being swept away amid a monthslong crackdown on Morsi's Muslim Brotherhood supporters since the military removed the president last summer."